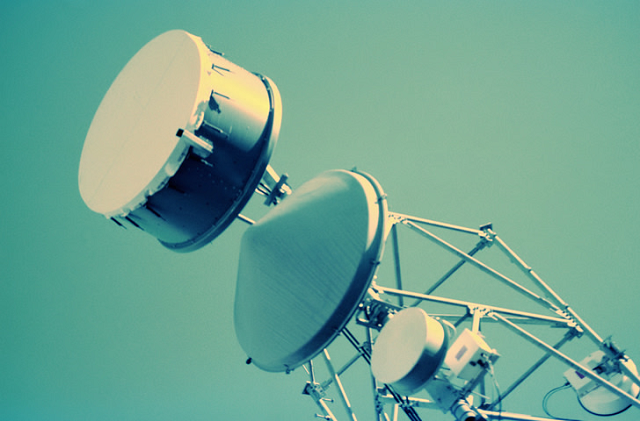 How can the telco mega-deal affect their operations that services consumers like you? On May 30 this year, telco giants Globe and PLDT Inc announced that they have bought the 700 Mhz frequency from San Miguel Corporation (SMC). Both telco firms are optimistic about this acquisition and anticipates faster and better internet for all. PLDT and Globe have been strongly lobbying for the distribution of SMC’s frequency in the past year to improve the country’s overall broadband and data service. The two companies are each acquiring 50% equity interest of the P69.1-billion ($1.48-billion) telecommunication business of SMC. But how will this affect different industries and what do they think of this development? For Todd Schweitzer, COO of tech powerhouse IG Group of Companies, he is optimistic that the 700 Mhz spectrum is critically important for extending mobile broadband coverage. 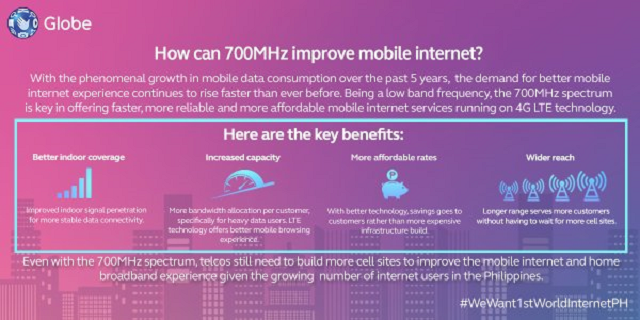 “With this deal, Smart and Globe increase their capacity to handle more mobile internet traffic, and should also give them incentive to add or upgrade cell sites, since 700 Mhz band can reach a wider area more efficiently. 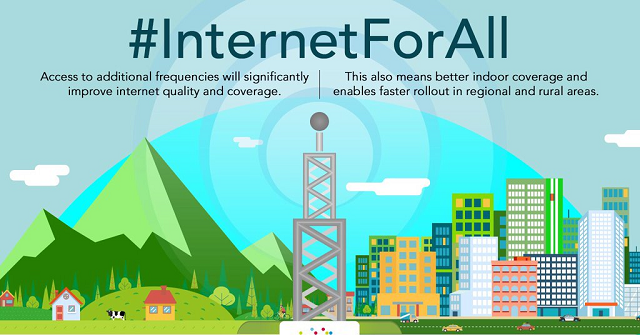 This should mean more reliable 4G/LTE speeds and coverage that Philippine businesses and consumers are demanding,” he said. This kind of frequency can “punch through walls” so no more hunting for signal indoors and it also means wider coverage. Since a lot of their services rely on fast internet connection, he foresees growth of companies in the tech industry, such as theirs. 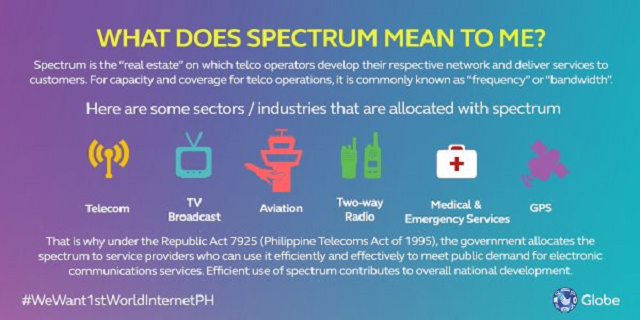 “Better and cheaper internet is the best fertilizer for a strong and competitive Philippine tech industry. 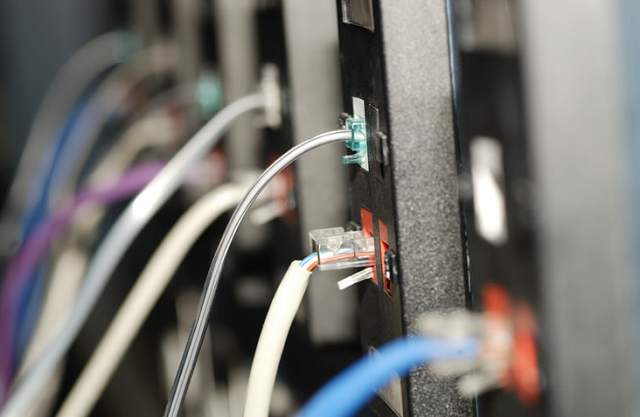 Reliable, fast internet means we can use the cloud, rather than in-house servers, to store data and deliver services to customers. It means we can offer more interesting products that rely on high-bandwidth connections,” he said. Schweitzer added that this also means that they can grow the markets to regions in the country that were not as well connected before because cost of doing business is lower. Thus, lower prices for customers and more cash for investing in growing businesses. More companies will also go digital and there will be a continued rise in tech startups, he added. Another business heavily reliant on fast internet are the computer shops present in almost every street corner in big cities. Rafael Cano runs a computer shop with 18 units. He pays around P3000 ($64) every month to maintain a fast connection for his units. “In my opinion, it would be okay if Globe and PLDT/Smart gets those additional infrastructure because they have more and more consumers and they have to satisfy this demand,” he added. And for some people, this demand means being online, all the time. Such is the case of Chi Yu Rodriguez, a remote content manager for a Canadian company. “No internet, no life,” she said, referring to the fact that 100% of her job is done via the internet. Rodriguez is unsure about promises of better internet, but she’s still hopeful that this new development will make things better. “I work remotely, and my work mostly consists of sourcing from the internet and managing social media accounts. Losing internet (which happens a lot) means losing time for me. And losing time means a high risk of losing income,” she added. Rodriguez is also a writer for #RomanceClass, a community of independently and traditionally published Filipino authors, and readers, of English-language romance. Their works are published online and having a more stable connection for everyone is equivalent to more people discovering their books, and more time for them to market their products via digital means. Aside from the tech-heavy businesses, another industry greatly affected by this change is the service industry. When guests go to hotels and restaurants, they expect a fast internet connection to make their stay more convenient. Jacques Palami, owner of Yellow Doors Hostel in Tacloban, boasts of a faster connection compared with the other places of accommodation and restaurants in their area. Guests give them positive reviews and getting a good feedback means more customers. However, in the past weeks, they had trouble with their internet and this led to some of their guests leaving. “The lack of WiFi is actually more costly in the end because you lose sales, and you spend more on freebies to appease the guests,” Palami said. For him, he is not at all optimistic about the acquisition. A third player would have made the existing ones step up their game because they have to, he said. Palami said that he feels Globe and Smart/PLDT already have the technology to step up, they just don't want to. “We can rant about slow internet all we want, but they know that's all we can do. We will buy and support anyway. For example, if you’re not a big fan of pizza but if it's the only thing you can have for dinner, you will eat it,” he said. Despite the differences in opinion, one thing is clear—the utilization of the 700 Mhz frequency will change the game for good. “Filipinos are already among the most engaged internet users in the world, and yet we still see a huge gap between the old-school approaches of Philippine businesses and the digital behavior of their customers,” Schweitzer said. “We expect that gap to close in the coming years, through startups offering a superior experience or existing companies embracing the digital wave,” he added. Nicai is the marketing head of Rising Tide, a technology solutions company. She is also the Manila Bureau Manager of Probe Media Foundation's Mulat Pinoy-Kabataan News Network and a regular contributor for SPOT.ph. Follow her on Twitter, @nicaideguzman, and LinkedIn, https://www.linkedin.com/in/nicaideguzman.